This is a lovely craft to do with younger children and can be relatively mess free - although fingers are almost certainly going to end up gluey! 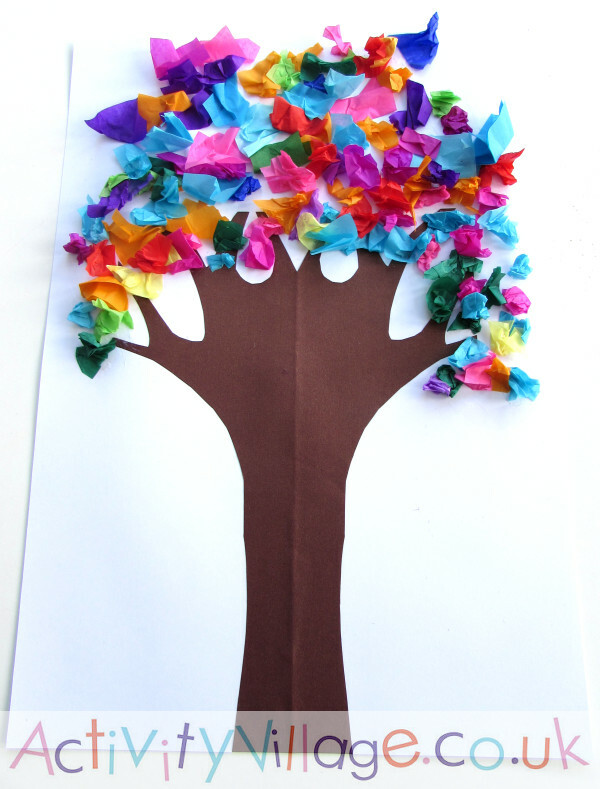 We've decorated our Holi tree in lots of bright colours, but this craft would also be a lovely spring craft to do with white or pastel pink tissue paper at blossom time. 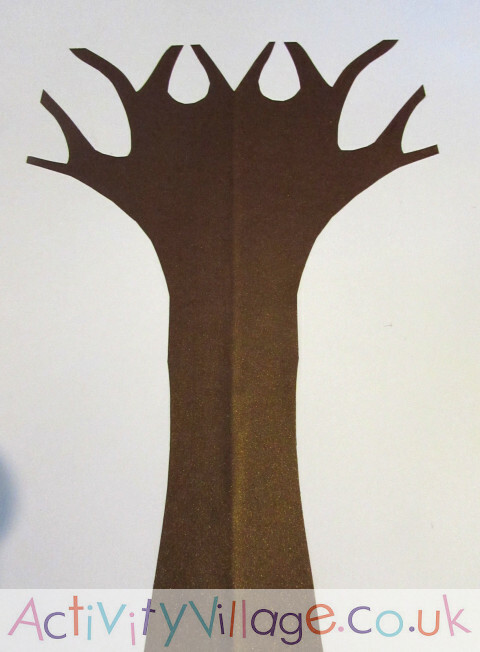 Cut a tree shape from the paper and glue to the card. Scrunch up scraps of multi coloured tissue paper and glue them on to the branches. Done! Here is a quick and simple idea for a Chinese New Year or Spring craft which results in a pretty picture which any child will be proud of! Make some of these beautiful little mini blossom trees with the kids - it's a sweet craft for Chinese New Year, Spring or perhaps a Japan theme. And won't it look pretty on display!